Nicole Wong, a veteran of Google and Twitter who last year became the White House's Deputy U.S. Chief Technology Officer (CTO), was keynote speaker for Carnegie Mellon University's Data Privacy Day program on Jan. 29. Data Privacy Day is a global event held each year to empower and educate people to protect their privacy, control their digital footprint, and make the protection of privacy and data a great priority in their lives. Sponsored by CyLab Usable Privacy and Security (CUPS) Laboratory, Wombat Security Technologies (a CMU CyLab spin-off) and others, the event was organized by the university's Master of Science in Information Technology — Privacy Engineering program, a first-of-its-kind program launched last year in response to growing demand from industry and government for trained privacy professionals. Wong, who holds law and journalism degrees from the University of California, Berkeley, was deputy general counsel at Google for eight years, and then joined Twitter as its legal director before she was tapped to become Deputy U.S. CTO. As a lawyer in private practice prior to joining Google, Wong represented a number of media clients including the Los Angeles Times, Walt Disney Co., Microsoft, Yahoo! and Amazon.com. In addition to Wong's keynote, CMU Privacy Day also included a privacy clinic, where privacy engineering students provided practical advice on how to choose privacy settings on Facebook, smartphones and other sites and devices, how to manage Web browser cookies and ways to block online tracking, as well as a Privacy Research Show & Tell session that featured CMU research on privacy. CUPS Director Lorrie Cranor and fellow CyLab researcher Norman Sadeh hosted the event. 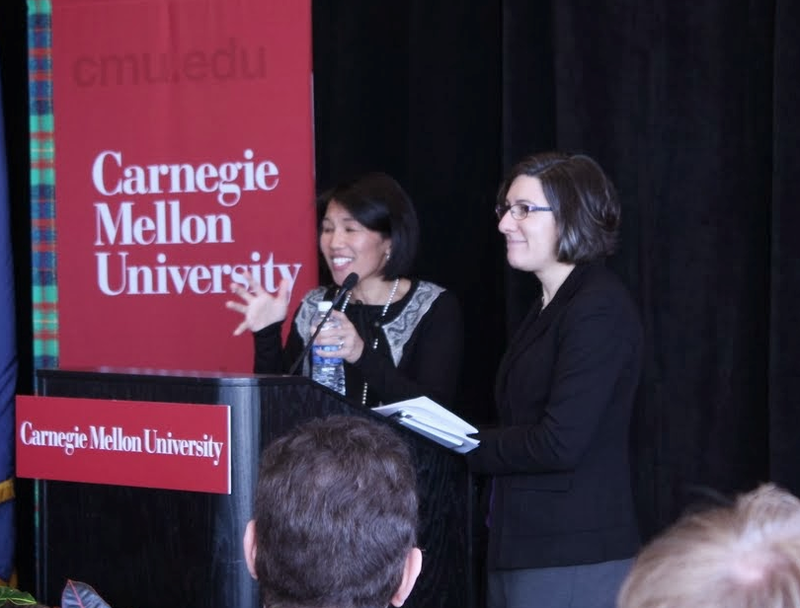 A video recording of White house privacy official Nicole Wong's address is available publicly via the CMU CyLab YouTube Channel.